Curb appeal is about more than just vanity. Aside from increasing the value of your home, a house with a strong exterior character will create a sense of place, enhance your pride in your home, and elevate the character of your entire neighborhood. Quality curb appeal transcends personal taste. Elements that make a house more or less attractive often do so regardless of the style or character. Much of this happens on a subconscious or primal level. You may not know what you like about a particular house, but you will note that it is inviting, that there is a sense of welcome and comfort, and that the house looks solid and well built. This perception is often the result of several small decisions rather than one or two big moves. It is hard to go wrong with a well-composed facade. Do all of the elements work well with one another, or are they working against each other? In many cases, a new band of trim or an added window can reorganize a badly composed facade. In the following image, a modest entry and stair addition organizes a poorly composed facade. Restraint is the name of the game when looking to establish hierarchy within a facade. In most cases, a house can handle one big move, maybe two. If it isn’t immediately clear what the prominent feature of the house is, reconsider the design. 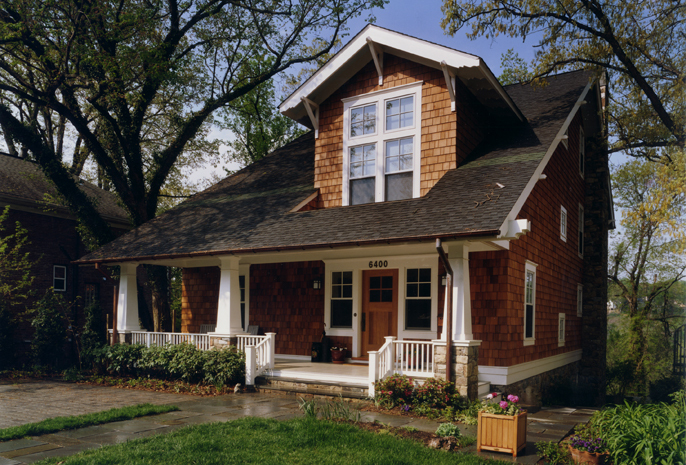 Here a single over-sized dormer is enough to anchor the entire facade. A well-designed porch can be a game-changer in creating curb appeal. Porches create a welcoming layer to the facade, connecting the house to the community beyond and associating the home with a leisurely lifestyle all while giving you a living room right outside your front door. 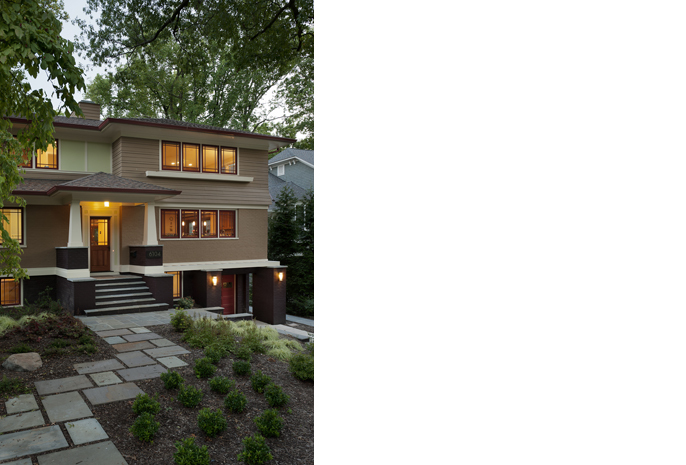 The understated presence of this home is transformed by a gracious entry porch addition. There is perhaps no greater way to transform a home than with color. 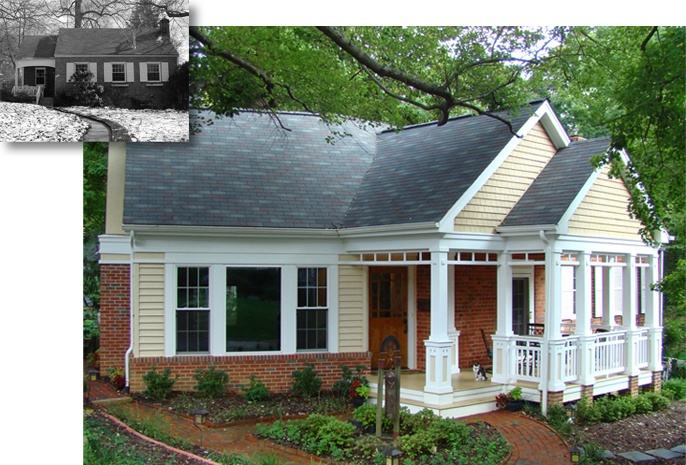 A small cottage can easily handle five or more exterior colors. First consider your preferred dominant color, and then decide how many colors are possible, building the palette around the dominant color. 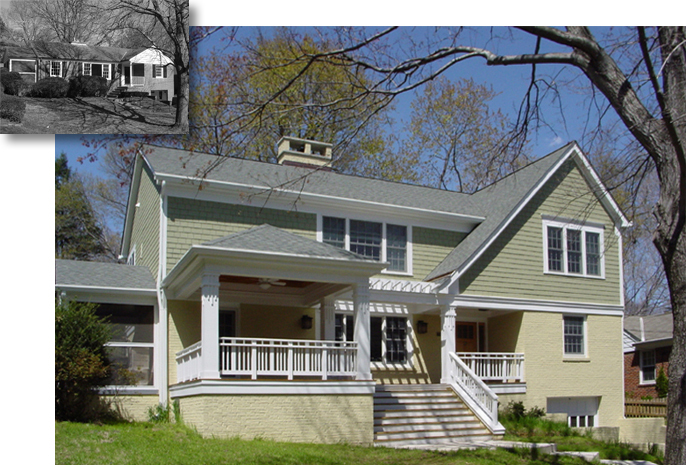 This modest house has two siding colors, a foundation color, as well as trim and accent colors. Houses that distinguish themselves from their neighbors are generally more memorable. Look for ways to personalize or add an element that makes the home distinctively yours and demonstrates signs of life inside. 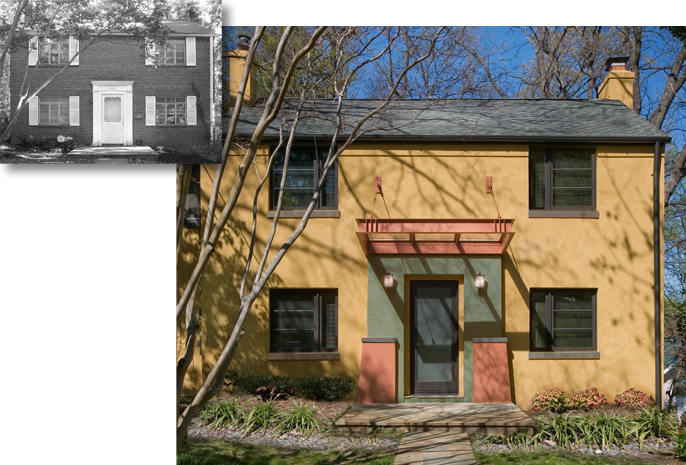 A stucco finish and new entry canopy make this home a memorable part of its neighborhood. Shadow lines create a sense of depth within a facade, which will result in a solid, well-built appearance. Deeper eaves, heavier door and window trim, and other trim features will provide shadows, adding to the richness of the appearance. 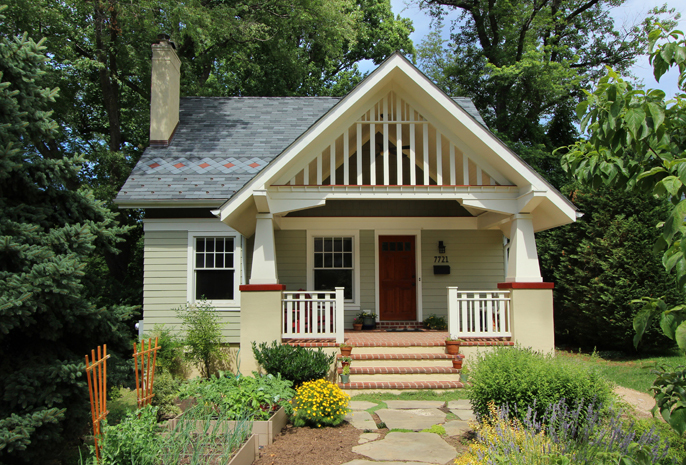 A gracious porch and trellis along with heavy trim profiles add depth to this facade. Surface variation is a great way to add interest to a facade. This can be achieved by using multiple materials or by simply varying the siding exposure from one floor to the next. 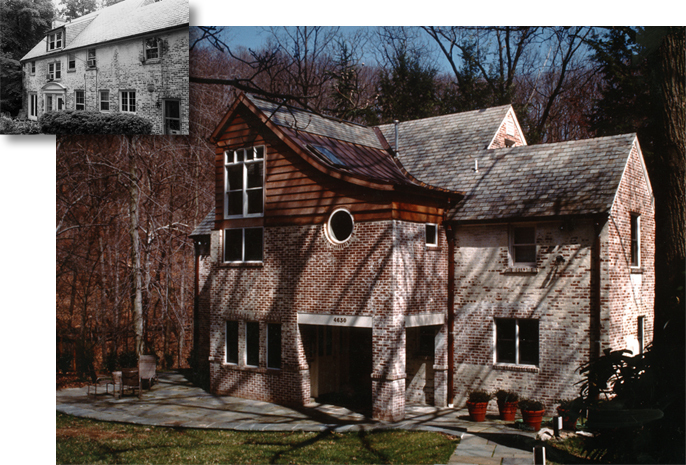 On this home, smooth mahogany siding contrasts the rough brick texture below and reinforces the horizontal composition of the facade. 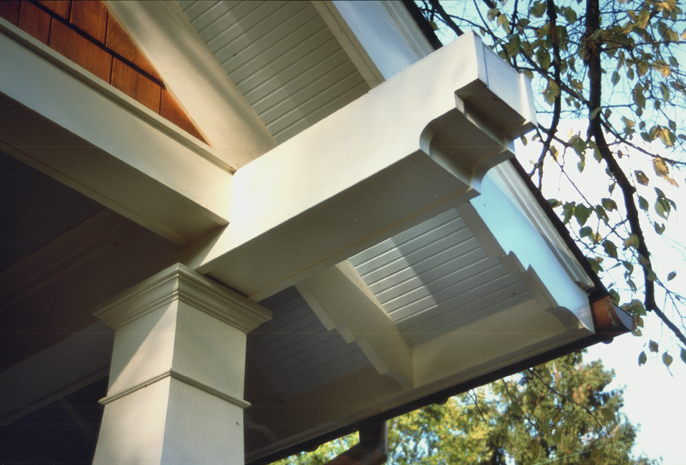 Quality detailing will do much more to elevate the curb appeal of a home than a complicated roofline. When cost is an issue, add detail specifically where you want to focus attention, and then consider less expensive materials for the rest of the facade. 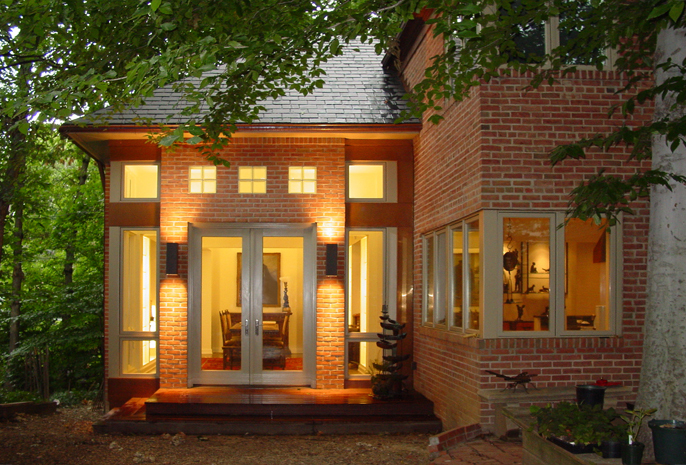 Lighting is a great way to reinforce hierarchy in the façade. Wall-mounted lights washing an exterior surface are great for highlighting texture and depth in a facade at night, when shadows aren’t otherwise present. The landscaping should be an extension of the architecture. Consider how the home wants to meet the ground when making landscaping decisions. Planters and site retaining walls are a great way to make the house look grounded and established within its context.